« Pitbull Attack Update: Hallelujah! Being Labor Day weekend, there was predictably a smaller volunteer pool this month for the Cahuenga Library Mini-Clean Up, with the dedicated Damon and Guia Wood helping out. And the weather was rather warm, too. But fortunately we only had a smaller task at hand. The mound of garbage that usually piles up next to the little-used bike rack in the alley was totally absent this month, and we even wrapped up about half an hour early (11:30 a.m.) this time around! Loos like we’re truly making a difference! Today was also the City of Los Angeles’ 229th Birthday, so I figured volunteering my time doing a little tidying-up was a nice present for my hometown. 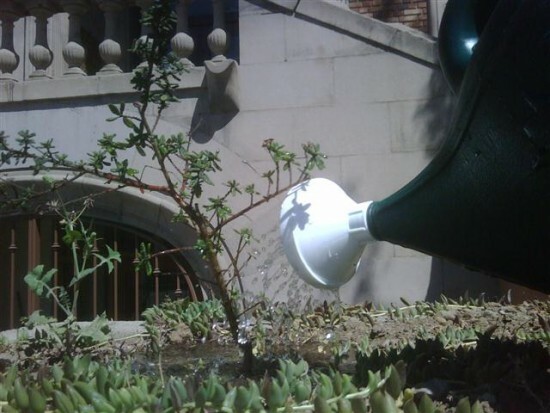 The Cahuenga Library Botanical Gardens Monthly Mini-Cleanup happens on the first Saturday of every month from 10 a.m. to 12 noon. at the Cahuenga Branch Library, 4591 Santa Monica Blvd.